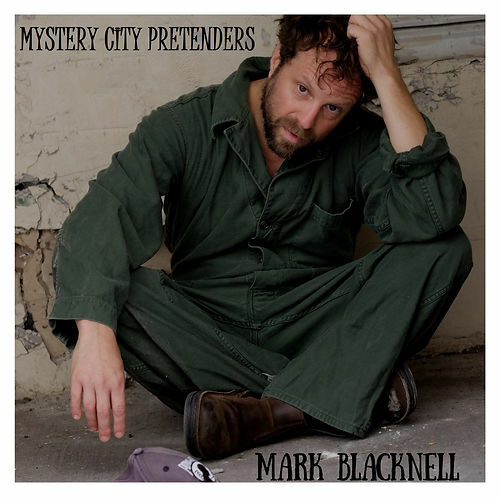 If you're in the market for some old-school, no-pretensions rock'n'roll about hard times and recovery, look no further than Mark Blacknell's Mystery City Pretenders. The film-maker/conservationist/veteran has lived a lot of life, and these story songs prove that Blacknell has lived every second of it. The songs are folk-tinged but more clearly owe a debt to 70s psych rock. Blacknell bounces between Lower East Side freneticism in the leader "Take Me," blue-eyed soul in "How to Land," bluesy trips in "Mystery City Pretenders," and REM-esque expansiveness in "Love Saves." (The latter makes a lot of sense -- the album was produced by Adam Kasper.) For me, "Albuquerque Rain Dance" is the kicker of the album. (It also made it onto one of my previous playlists.) While there are fantastical elements to the story, the song takes a measured approach to relating the raw emotions that inspired the song. Blacknell's lyrics are on the nose -- often bleak as Blacknell revisits depressive moments -- but are buoyed by the airy music. Ultimately, the album is an intimate look into Blacknell's struggles to heal. It's not a linear progression, though of course healing never is.